Did you know that there are only two statues of Charles Dickens worldwide and none in the UK? Neither did I. Considering Dickens is one of the most famous and beloved literary figures in the world, it’s frankly astonishing. 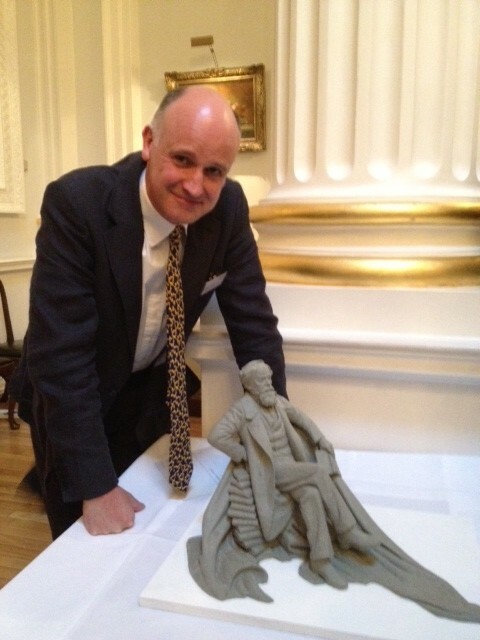 A few months ago, I received a rather lovely invitation to the very grand Mansion House for a fund-raising event to celebrate the life of Charles Dickens and to talk statues. Or one particular statue that was chosen by the Dickens Fellowship, with the support of the Dickens family, to be erected in Portsmouth, the birthplace of Dickens to celebrate the bicentenary of the novelist’s birth. Artist Martin Jennings’ design was chosen and it’s a beautiful piece. 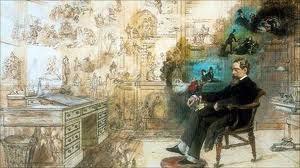 In the picture above, you can see the sculptor with the maquette of the proposed statue of Dickens reposing on a chair of books. After being formally announced to the hall, shaking hands with the mayors of London and Portsmouth, partaking some delicious canapés and a few glasses of champagne, we were treated to speeches which showed how passionate people are about Dickens and preserving his legacy. So if you would like to help fund the statue, you can do so here. And a big thank you to Lyndsay for the kind invitation. The will as regards him not wanting a statue or monument has been interpreted by the Dickens family as referring specifically to his grave, and only binding in the lives of his children. ‘The Life of our Lord’ was written initially for his children, and so was placed under the same caveats in his will, but that was published in 1934 after his last child, Sir Henry Fielding, died. wow yea it is astonishing that there’s no Dickens statue in the UK! ps: I just saw the Liked button, that’s brilliant! I’ve been thinking how I wish there could be Like buttons for all the blog posts so I can just “Like” them like facebook (when I don’t have much to say). That way at least I let the blogger know that I read it and liked it. Now to have that in my own blog… Will need to find time to integrate that in. I think the like button just sprang up automatically on wordpress… Thanks for stopping by, Mee! Oh wow, I didn’t know you went to this. I was invited but couldn’t make it. 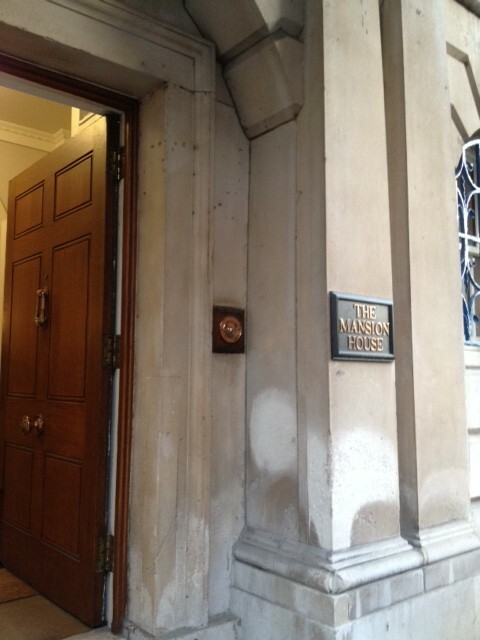 I was disappointed not to see inside Mansion House — I frequented the tube station for 3+ years! “In his will the Victorian author requested that no statues or monuments of him should be built.” Perhaps that’s why? I’m sure that’s probably why. He made several stipulations for his funeral but not all were strictly kept. However, I do think it would be nice to have a statue. 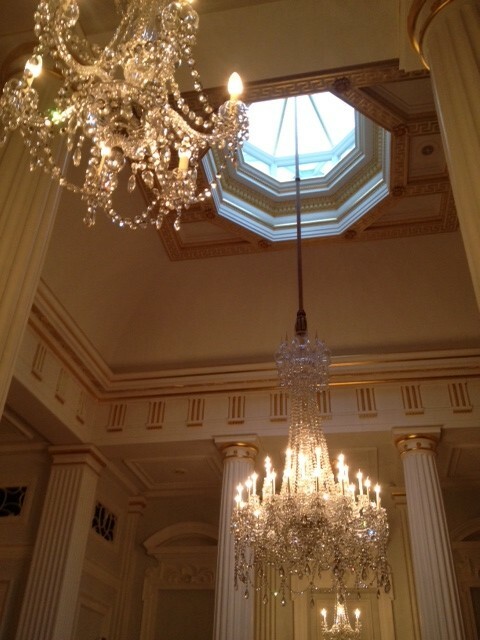 can see that you are entering the vip circle of book lovers… what a beautiful occasion. it made me realize how vividly he is still alive in all his works and characters. Hardly Eri chan, I am a tiny fish in a very big pond:) It’s amazing how much Dickens and Austen are ever present on tv and everywhere around us. It’s lovely!